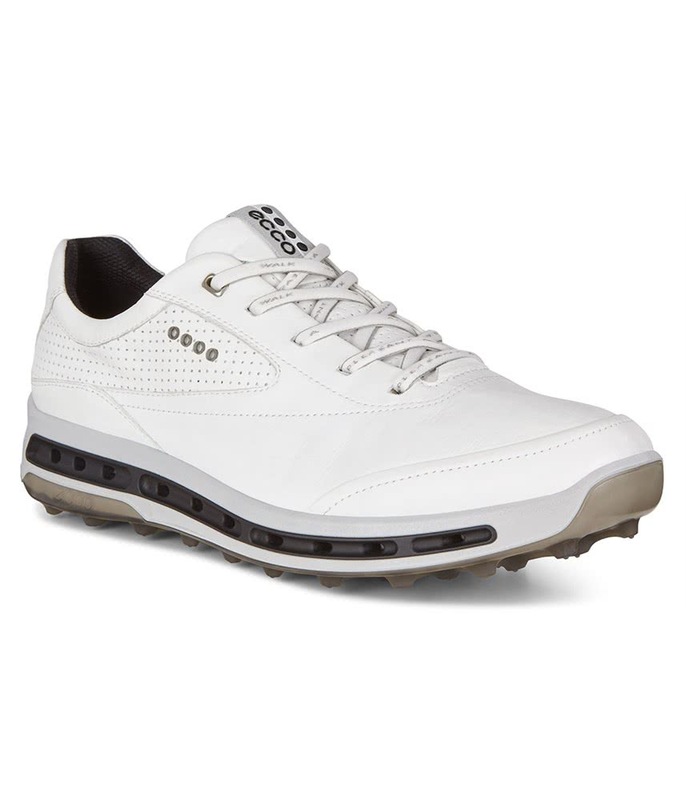 The Ecco Mens Cool Pro Golf Shoes have been created using premium materials and innovative technologies that deliver exceptional levels of quality and performance. 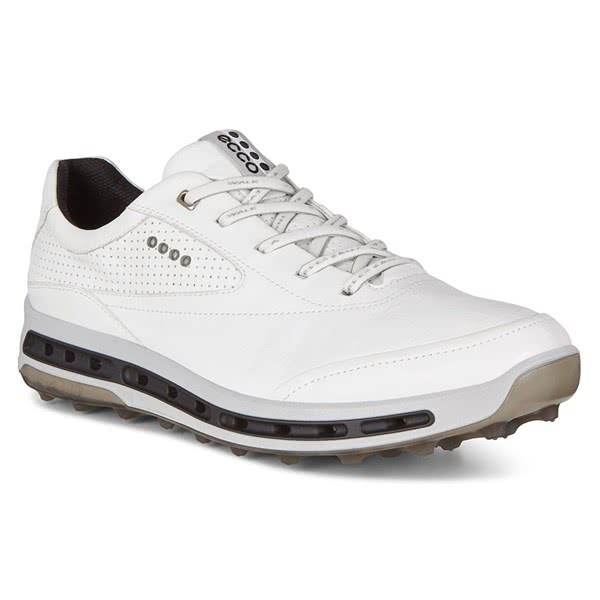 Ecco Golf have used their HYDROMAX treated Dritton leather upper for increased comfort, durability and support. GORE-TEX has been used in the upper design and combined with the HYDROMAX treated leather upper it provides 100% protection against the elements. 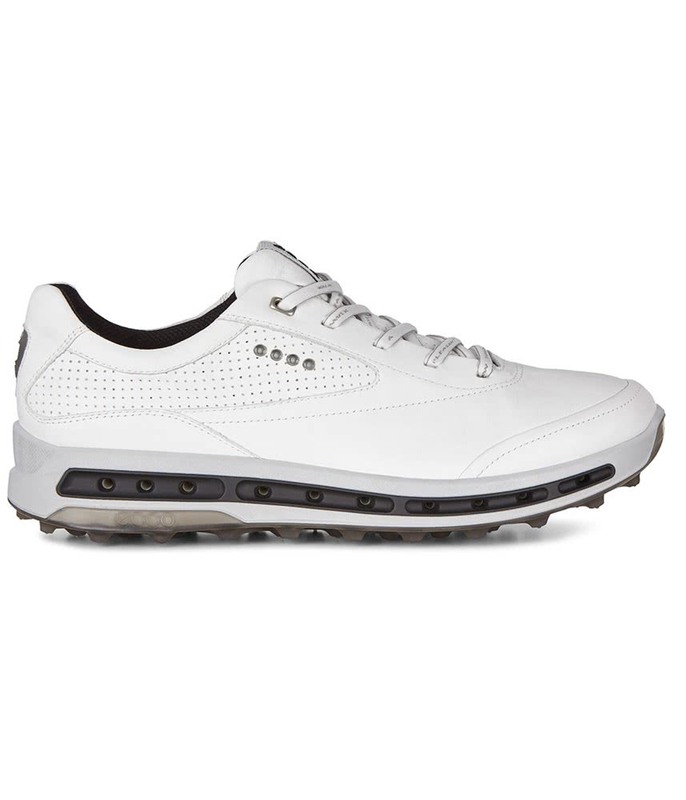 An innovative and revolutionary 360° direct-injected midsole design with ventilation channels helps keep air circulating around - increasing the breathable and moisture-wicking properties of the shoe. 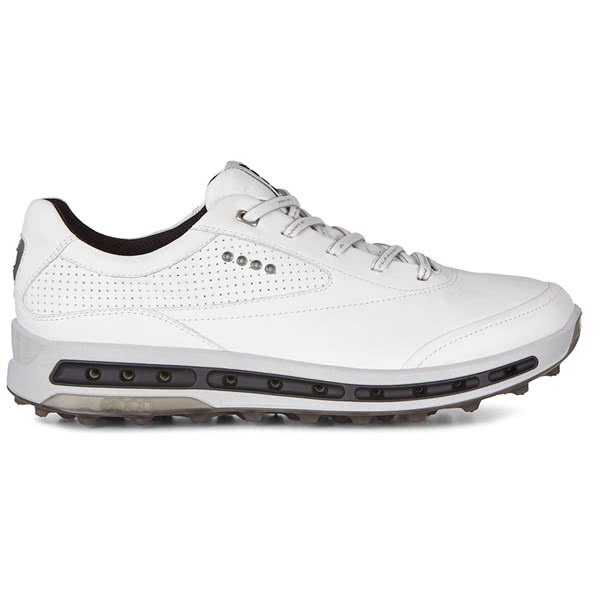 Ecco Golf have used their SPYDR-GRIP spikeless outsole design to provide excellent versatility, traction, stability and durability. This unique sole design utilises naturally placed pivot points that work independently through your golf swing to maximise grip. And in tough underfoot conditions the SPYDR-GRIP design will reduce clogging for better walking grip.